According to the circuit board preparation, accurately classified collection of waste water and adopts the corresponding processing process respectively.The process flow1552977451695083111. Water quality and water content are complex, and the concentration changes greatly. 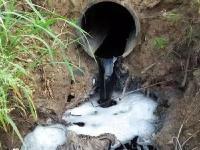 For landfill leachate treatment, the use of built-in membrane bioreactor will cause many problems. I. Intermittent activated sludge process (SBR)Intermittent activated sludge process, also known as Sequencing Batch Reactor-SBR, consists of one or more SBR pools. Strive to take about two years to effectively prevent and control the "three phosphorus" pollution and promote the green development of the phosphorus chemical industry chain.3. The basic framework of watershed ecological health assessment is constructed from three aspects: ecological structure, service function and stress status. Two Sessions: Key Points of Environmental Protection in Government Work ReportStrengthen pollution control and ecological construction, and vigorously promote green development.